It appears Rammy, our late ram, made the most of every last minute before he was butchered! 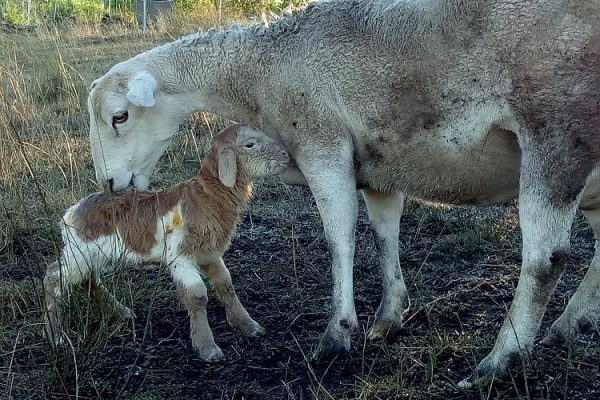 We’ve had the birth of lamb after lamb this winter even though the ewes already had lambs when he was butchered months ago and we thought that would be it! 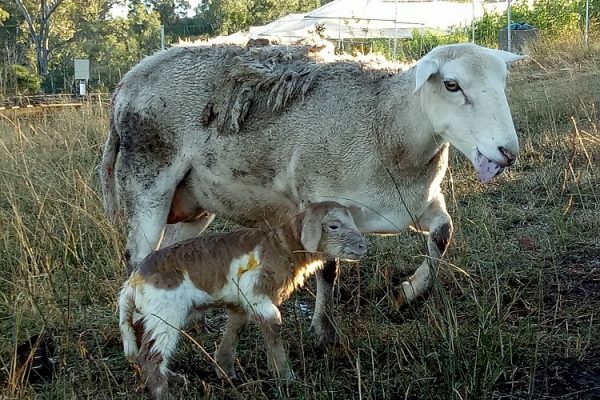 This morning Caramel, our most tame ewe, gave birth to this little cutie. The photos were taken about 20 minutes post birth. My apologies Caramel…I know it’s not nice to have post birth pictures posted of you on the internet! See her tongue hanging out there?